That's why we treat them like family. Rover Retreat is Jefferson County’s premier dog boarding facility conveniently located in Golden, CO. You don’t have to worry about leaving your dog alone with a stranger when you bring your dog to Rover Retreat. Choose a special activity to customize your dog’s boarding stay with us. Dog Daycare at Rover Retreat in Golden, CO provides your dog with the perfect balance of socialization and exercise specific to your dog’s breed and temperament. Our professional staff is here to make sure that your dog has the best time possible during his/her daycare stay with us. Your dog is guaranteed to look fabulous after a stay at Rover Retreat’s Dog Bathing Spa. Schedule a Basic or Premium Bath for your dog and our experienced staff will treat your dog with the care and love that he/she deserves. Give us a call to schedule an appointment. Rover Retreat is conveniently located right off I-70 in Golden, CO and is proud to serve our clients coming in from Arvada, Lakewood and the greater Jefferson County area. 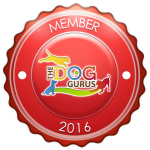 If you’re on your way to the Rocky Mountains you can drop your dog off for his or her own dog boarding or dog daycare adventure! 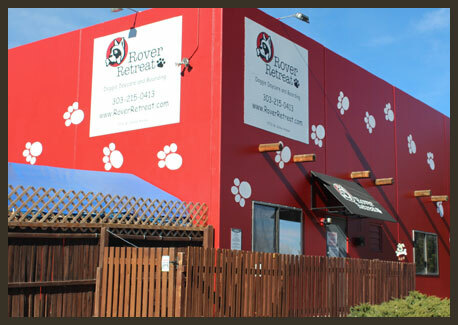 Rover Retreat in Golden, CO is Jefferson County’s premier dog boarding and dog daycare facility. We believe dogs should be treated like family and do our very best to make sure that your pet’s stay with us is comfortable, safe and happy. Give us a call to schedule a reservation: (303) 215-0413.